Peter J. “Pluto” Hlavay, of No. 9, McDonald, died Sunday, January 20, 2019. He was born February 16, 1929 in McDonald; a son of Andrew and Mary (Kapitan) Hlavay. Mr. Hlavay was a graduate of Midway High School. He was a Korean War Veteran serving in the United States Navy. He worked for the 911th Air Force base as a supply man where he retired as a Master Sergeant in 1989 after 38 years of service. In 1951, he married his first wife, Nellie Pirrung, who is deceased. He then married Estelle Kuna, who died in 1997. Then, in 1999, he married Vera Mikush who died in 2012. Mr. Hlavay was a member of South Hills Assembly of God in Bethel Park. 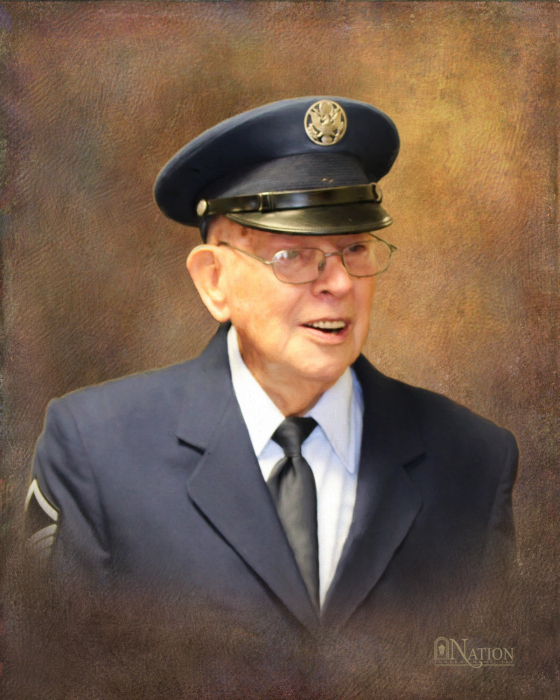 He was a life member of the McDonald VFW. He was a member of American Legion in McDonald, a life member of the Air Force Sergeant Association and the No. 9 Fox Hunters Club. Peter enjoyed hunting, going to the beach and polka dancing. He was known to many for wearing his “crazy hat hair”. Surviving are many nieces and nephews, great nieces and nephews and great-great nieces and nephews. Deceased are 10 brothers, Andrew, Martin, George, Louis, Paul Sr., Joseph, Frank, John, Jack and Stephen Hlavay; and two sisters, Mary Dove and Anna Gedman. Family will receive friends Wednesday, January 23, 2019 from 2-4 and 6-8 pm at Nation Funeral Home Inc., 220 E. Lincoln Ave., McDonald, where services will take place Thursday, January 24, 2019 at 9:45 am. Interment will follow in the National Cemetery of the Alleghenies, Bridgeville. A special thanks to all the staff at Concordia of South Hills.